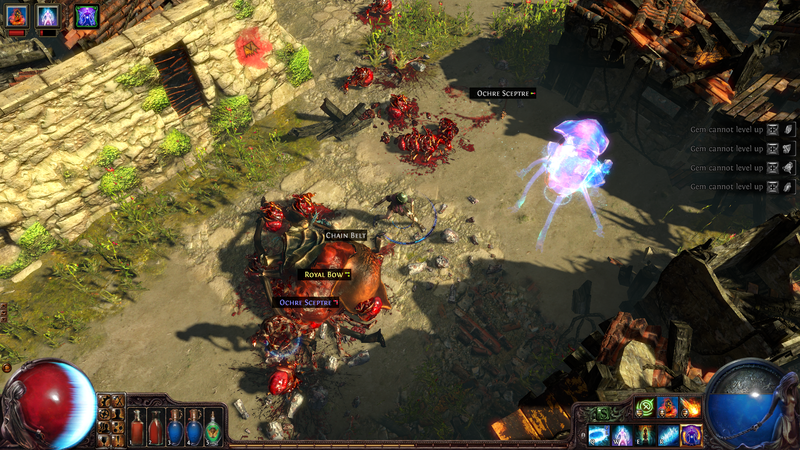 So after some good game-play time in, I decided it is review time for “Path of Exile”! It has a lot to offer in terms of content to talk about, so let’s get started! Free to Play? Or Pay to Win? 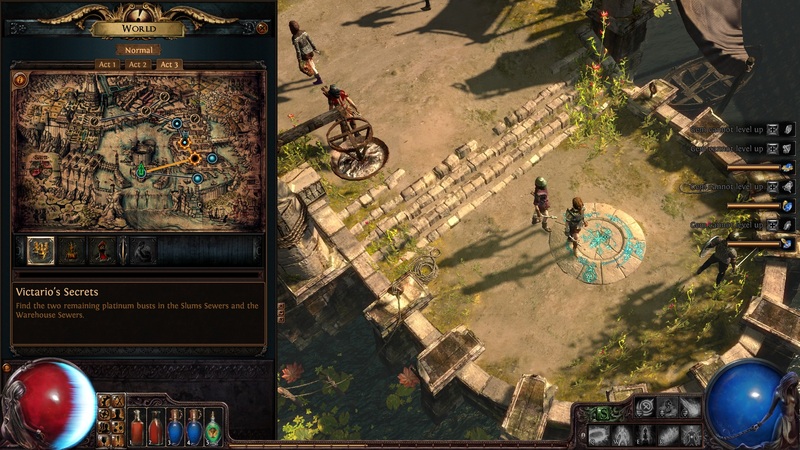 For those gamers out there who have not heard or seen it yet, Path of Exile is a FTP (free to play) game on Steam. It resembles a lot of the same characteristics as Blizzard’s Diablo Series, but as mentioned is 100% free. There are ways of spending money on the game if you choose in the Micro transaction window (press M on the keyboard), but most of these transactions are to improve the look and prominence of your character. Even though it does have the micro-transaction option, it is NOT required that you spend any money on the game to have fun and complete it. This was very exciting to see, because for the content you get in the game, it was nice to not have to pay to win. So for a FTP game, the game-play is actually quite good! There have hardly been any instances of choppiness, lag spikes, or item errors. It seems to run pretty smoothly and does a great job keeping the player entertained. The skills and effects are not the most amazing visuals, but they definitely serve their purpose without being laughable. The story line in the game however is pretty laughable. I do not think the creators cared too much about making a great story, and cared more about the features and fighting in the game instead. There are some things the game is lacking, but they can easily be improved. I for one like a good map. The map in this game is usable, transparent, and can be quickly opened and closed with the tab button. However it is a VERY choppy looking map, and there are times where you will find yourself asking if a line on the map is a wall or a path. A simple upgrade to the graphics could help smooth out some of the rough edges in the map and your character’s edges, but you won’t really see these as problems unless you are a graphic stickler like me. The game still has almost all the same features as the Diablo games, but is lacking some things such as the Auction House, which is not necessarily a bad thing. The button and control make-up in the game is VERY easy to understand and to change to the way you prefer it, which is more of a customization feature which we will talk about next. This game really makes up for all its small problems with the HUGE effort they put into customization of…. Well almost everything. 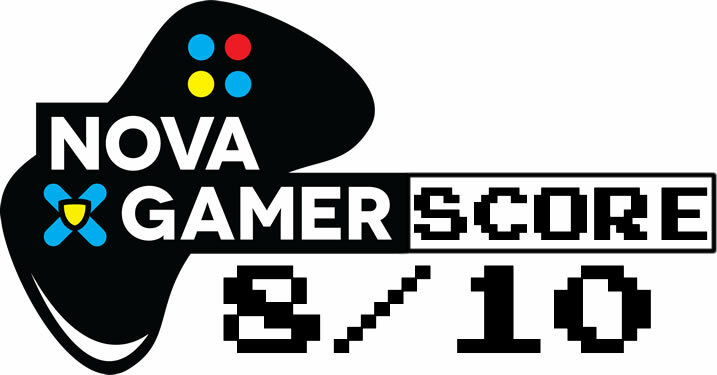 First the BIG one… the skill tree. Skills are not something you get as you level like most games; instead they changed it to skills being a drop. The way this works is skills will drop as gems from random kills, and by equipping these gems in your gear you can use and level up those skill gems. 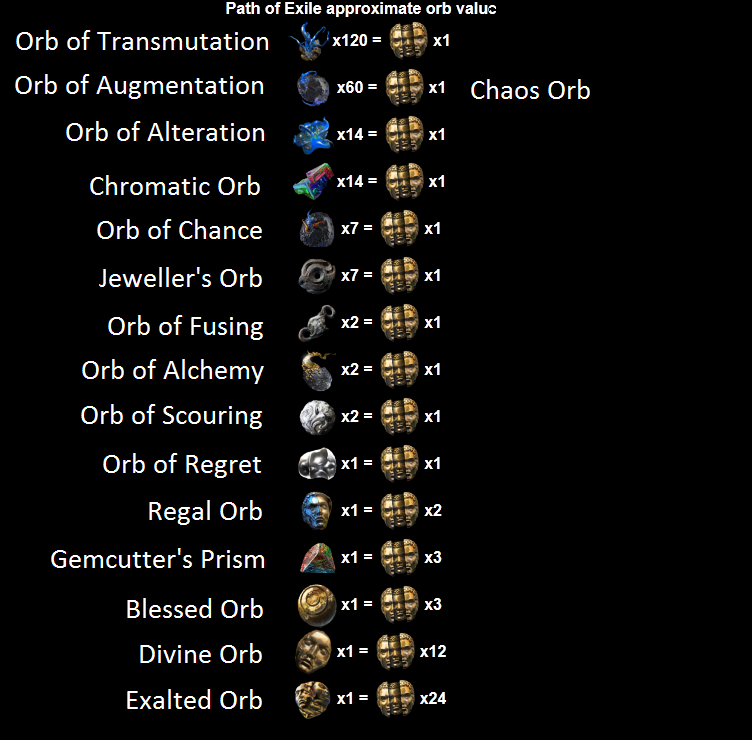 Now to make the skills abilities even stronger, another customization tree was implemented where you can do everything from increase stats, to increase the AOE radius. 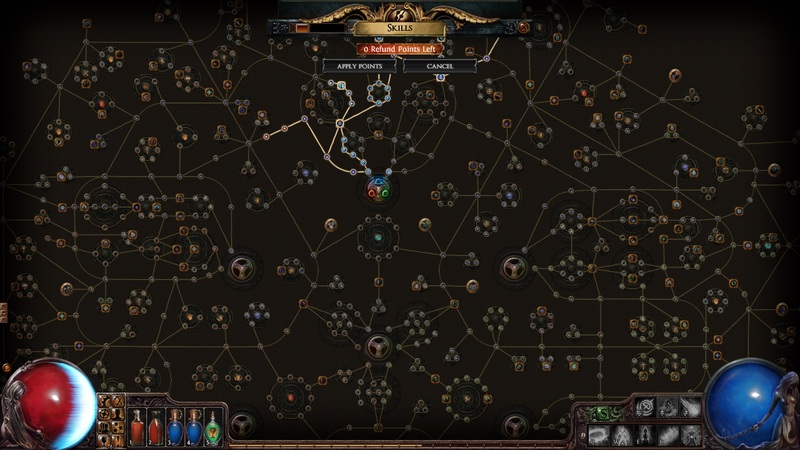 This skill tree is larger than most games of its type; in fact it was not able to fit in the whole picture below. You get a new point for the tree with each level, and can receive bonus points from some quests. All in all they did an AMAZING job on this game for a new FTP, especially since it is a remake of a larger well known Diablo series. It has successfully made me want to stop playing Diablo and start playing more POE. The customization in this game REALLY makes the impact with how much you will enjoy playing it. I would HIGHLY recommend this game to anyone who liked Diablo2 but was not happy with Diablo3. POE has kept the entertainment in leveling high, and I will later post an end game review when I can see how well the game plays AFTER you reach max level. But for what the game is, and the fact it is FTP, I give it a solid 8/10.